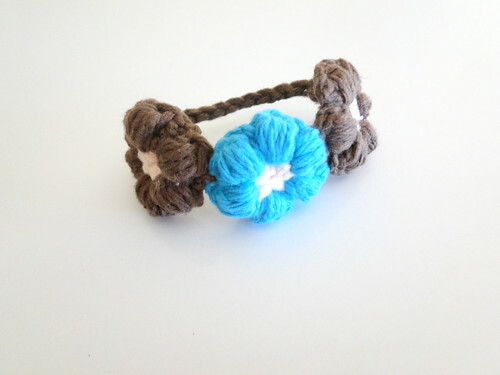 I made this cute bracelet yesterday using the Mollie Flower pattern. I found this pattern even before I learned to crochet and I still love it! It's a really easy pattern to work up and there's still more things I want to make using it. For the bracelet, I made 3 flowers and joined them with tight knots and then I put an sc in the end flower and chained 10 to the other one and joined with an sc. It took me all of 20 minutes to put this together. I just love it, it's so cute. And not such a great picture of me wearing it, it's hard to take a picture of your wrist. It's beautiful! Love the colours! That is so cute! Thanks for sharing the pattern. I will definitely have to give this a try. This is so cute! A great idea. 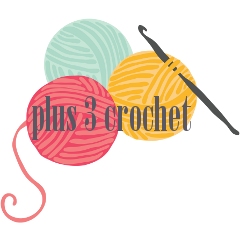 I would LOVE if you would link this up to my new link party for the fiber arts!